Gin + Tonic, my go-to drink, always. Margaritas might be my favorite drink, but sadly, they are not always made the best. Gin + Tonic, is classic, easy to make, and my preferred choice at restaurants and bars. But it is easy to get stuck eating and drinking the same foods. So I love this updated version of my favorite drink. Adding roasted balsamic strawberries with handfuls of basil. 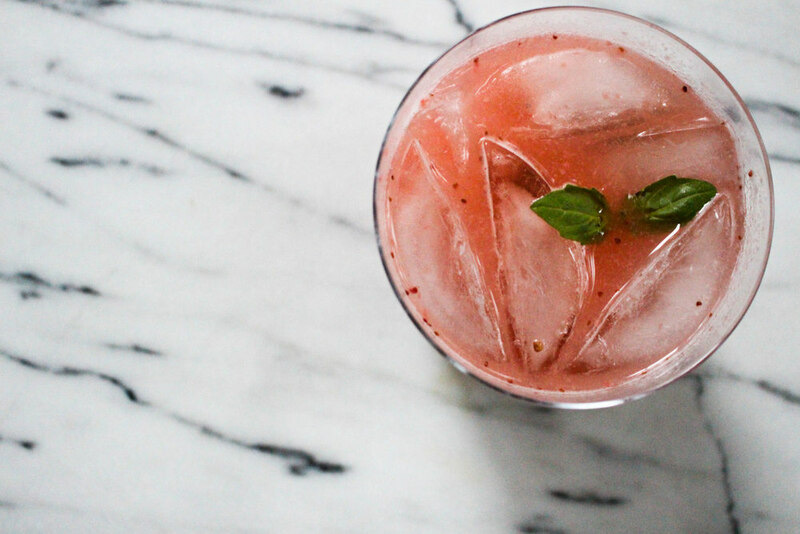 This drink is new, fresh and perfect for warm nights. Enjoy! Line a rimmed baking sheet with parchment paper and put halved strawberries onto the pan. In a small bowl whisk together maple syrup, olive oil, and sea salt. Pour over the strawberries and toss together. Arrange the berries in a single layer and roast for 35-40 minutes. Remove from the oven top with a few drops of balsamic vinegar. Toss together and place in a small bowl to cool. Divide the basil leaves between the 4 glasses. Using the back of a wooden spoon or a muddler and press down on the basil leaves. Fill the glasses with lots of ice. 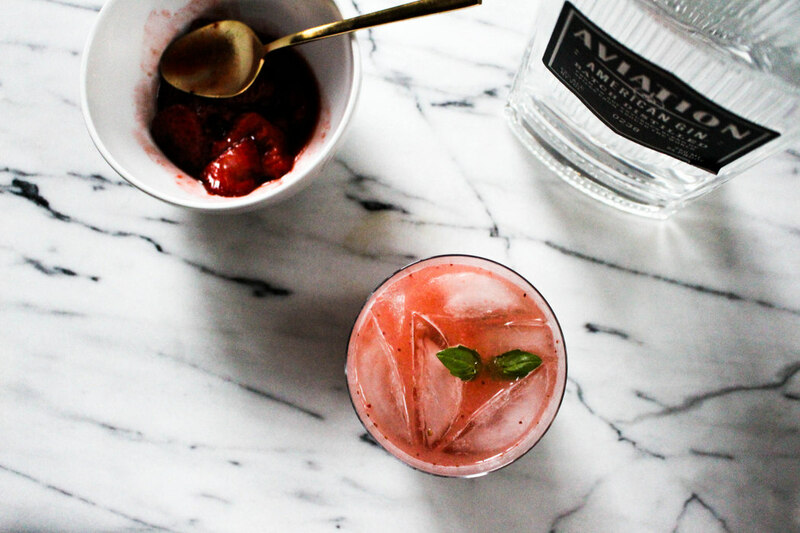 Put 3 tablespoons of roasted strawberries in the glass and top with 1-2 ounces of gin and tonic. Give it a good stir. Drink up. Friday Favorites + Hudson turns 2!